Hospice Care of the Piedmont introduced a “We Honor Veterans” program to our service area September 2012. 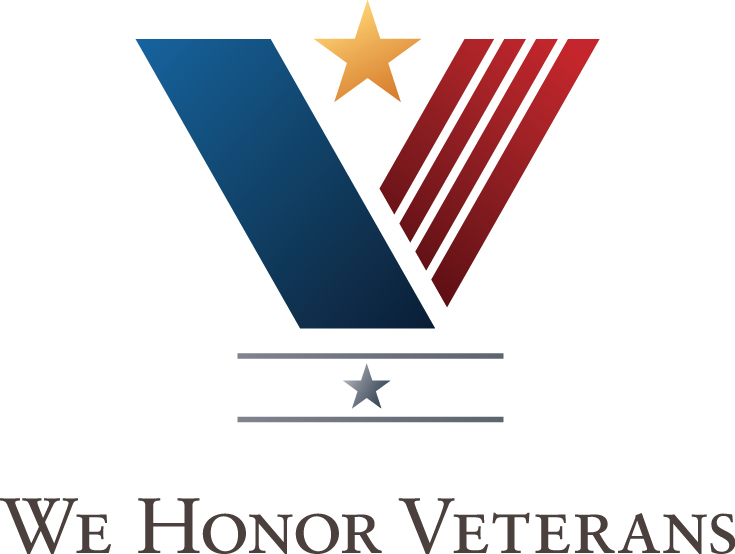 This program was developed as a joint effort between the United States Department of Veterans Affairs and the National Hospice and Palliative Care Organization to identify, recognize and serve military veterans. Our organization has always felt privileged to care for those service members who have given so much to our country. It is important to ensure veterans and their families receive recognition for their sacrifice, have access to all the benefits and services due them and that their unique experiences are included in care decisions. We have utilized the tools and structure provided by the “We Honor Veterans” program to improve our service to veterans. Veteran specific educational material is frequently used to train clinical staff to meet the unique needs of veterans. Each veteran is given the opportunity to request a veteran volunteer for support. Our hospice social workers assist veterans and families with obtaining veteran benefits and increasing awareness of available benefits. Thanking veterans for their service using a “pinning” ceremony is a special privilege for our staff. Shortly after or during admission, the “pinning” ceremony takes place. The ceremony consists of our staff formally thanking a veteran and presenting them with a flag lapel pin and a certificate of appreciation for their service to our country. It is very meaningful to veterans, their families and our staff. During the pinning ceremony, veterans or family members have the opportunity to share memories of the veteran’s military experience. There are tears and laughter at times, but there is always pride expressed with every memory shared. Outreach is another important part of this program that fits well with Hospice Care of the Piedmont’s vision of working in partnership with our community to provide exceptional care to all who need it. Many of our staff members are available to present various topics to increase veteran awareness of hospice services, advanced directives and end of life issues. We continually seek to establish relationships with veteran’s organizations to gain partners in our service to veterans and to gain new insights and ways to Honor Veterans.